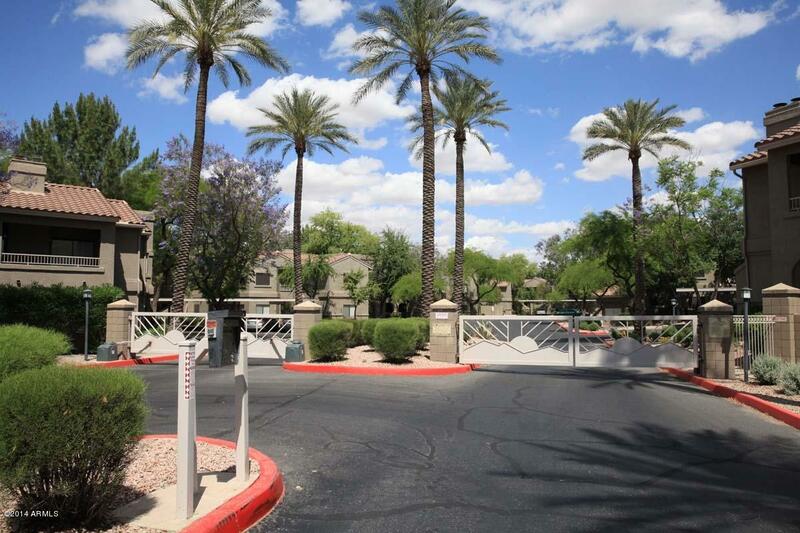 All VILLAGES NORTH CONDOMINIU homes currently listed for sale in Scottsdale as of 04/24/2019 are shown below. You can change the search criteria at any time by pressing the 'Change Search' button below. "*LOCATION*LOCATION*LOCATION* THIS TWO BEDROOM GROUND FLOOR HOME IN THE GATED COMMUNITY OF THE VILLAGES NORTH IS IN MOVE IN CONDITION. THE KITCHEN AND BATHROOM CABINETS WERE REFINISHED JULY 2014, NEW FIXTURES IN THE BATHROOM, PAINT PLUS SLATE SHOWER WITH HIGH GRADE BACKERBOARD WERE COMPLETED AROUND APRIL 2014. WOOD LIKE FLOOR IN BEDROOMS WERE REPLACED A FEW YEARS AGO. WATER HEATERAND CUSTOM CEILING FAN IN MASTER BEDROOM ARE ABOUT A YEAR OLD. THE BACKYARD COVERED PATIO OVERLOOKS A GREEN GRASSEY AR"